Erected by John HUNTER, in memory of his wife Jane BAIRD who died 14th Dec 1898 aged 84 years. Also of their children: Agnes who died 18th Oct 1865, aged 8 months. Jane Barbara who died 18th Sept 1875, aged 4 years. George BAIRD who died 27th Jan 1894, aged 18 years. William BUCK their son in law who died 22nd April 1893 aged 28 years. Also the above John HUNTER who died at Meadowhead, Balmaclellan, 13th Nov 1913 aged 79 years. 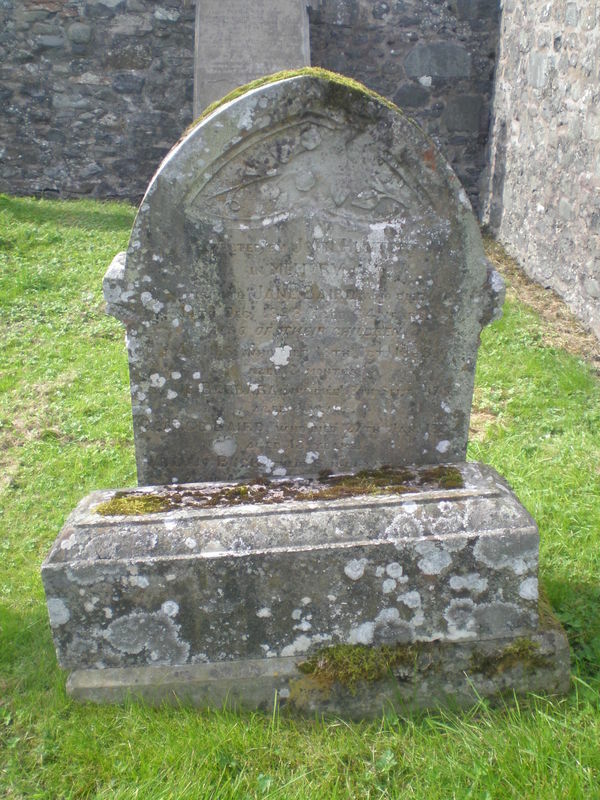 GC, “Kirkyard gravestone 3,” Carsphairn Archive, accessed April 21, 2019, http://carsphairn.org/CarsphairnArchive/items/show/109.